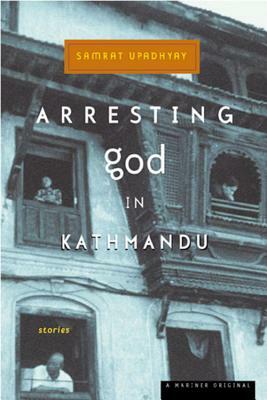 From the first Nepali author writing in English to be published in the West, Arresting God in Kathmandu brilliantly explores the nature of desire and spirituality in a changing society. With the assurance and unsentimental wisdom of a long-established writer, Upadhyay records the echoes of modernization throughout love and family. Here are husbands and wives bound together by arranged marriages but sometimes driven elsewhere by an intense desire for connection and transcendence. In a city where gods are omnipresent, where privacy is elusive and family defines identity, these men and women find themselves at the mercy of their desires but at the will of their society. Psychologically rich and astonishingly acute, Arresting God in Kathmandu introduces a potent new voice in contemporary fiction. SAMRAT UPADHYAY is the author of Arresting God in Kathmandu, a Whiting Award winner, The Royal Ghosts, and The Guru of Love, a New York Times Notable Book and a San Francisco Chronicle Best Book of the Year. He has written for the New York Times and has appeared on BBC Radio and National Public Radio. Upadhyay directs the creative writing program at Indiana University.